As Will Smith would say, “Welcome to Miami!” It’s a beautiful place where the outdoor activities are just as exciting as the nightlife experience. When people think of The Magic City, beaches and sunbathing are probably the first things that come to mind. 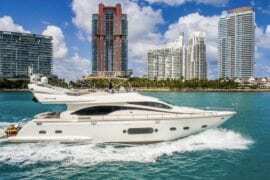 And yes, it is possible to do Miami on the cheap. When the sun sets, it is as if you have teleported into a whole new environment filled vibrant activities for all. It’s is the center of financial, economic, and culture of Florida, so it’s no surprise that the city is always bustling with excitement. 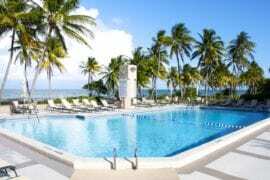 Miami is one of the largest and most populous urban areas in the United States, offering all sorts of fun experiences and great entertainment options. 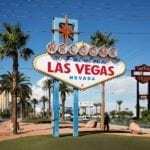 Whether you want to spend your days relaxing on the beach, exploring art galleries, or hunting down the ghost of Thomas Walsh in the Biltmore Hotel, this is the place for you. With so much to see and do, we wanted to find you the best lodging options without breaking the bank. 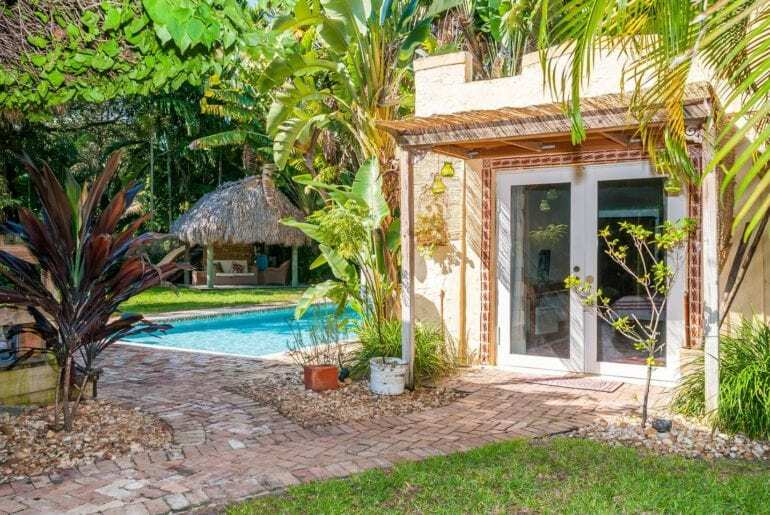 Take a look at our top 8 choices for Miami Airbnb’s under $125 per night. 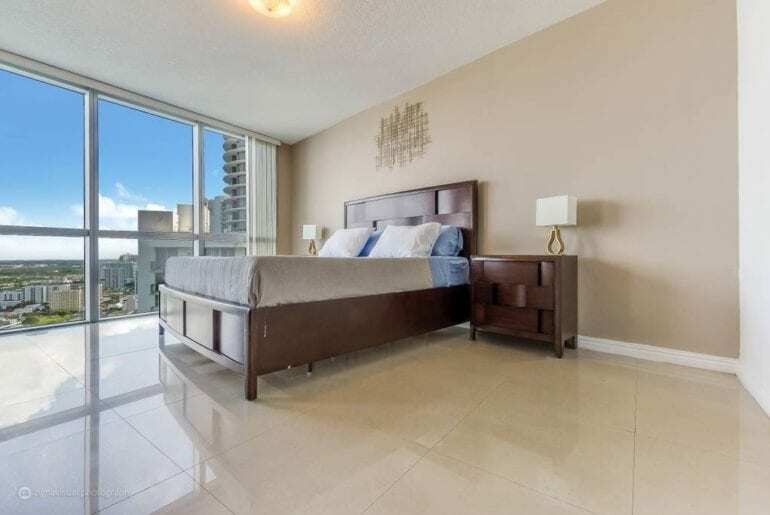 This Miami Beach condo has been recently renovated and offers you plenty of room for your stay. 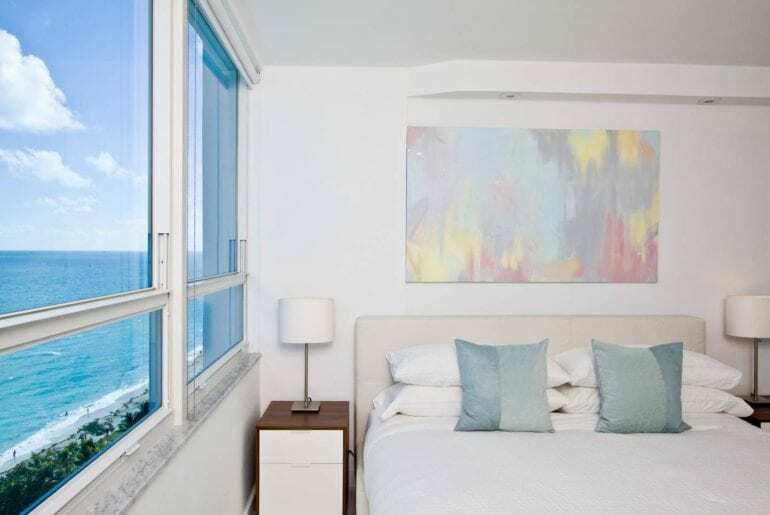 Enjoy the bright studio with free parking and 180 degree views of the stunning beachfront. Rentals start at just $59 per night. You’ll be living large with the range of amenities this property offers! 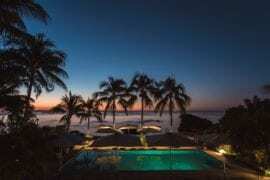 Some include beach chairs, snorkel gear, private internet, and free tennis rackets! Owners remodeled a camper in a poolside log cabinsurrounded by nature. You can spend a lazy Sunday afternoon floating in the heated swimming pool and hot tub. Being surrounded by tropical touches, this trailer provides a unique sense of relaxation and comfort. 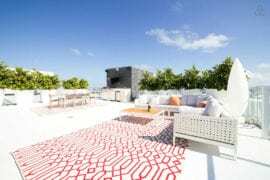 Nearby is Miami Beach, Downtown, Bal Harbour Shops, and the MIA Airport. Starting at $60 per night. 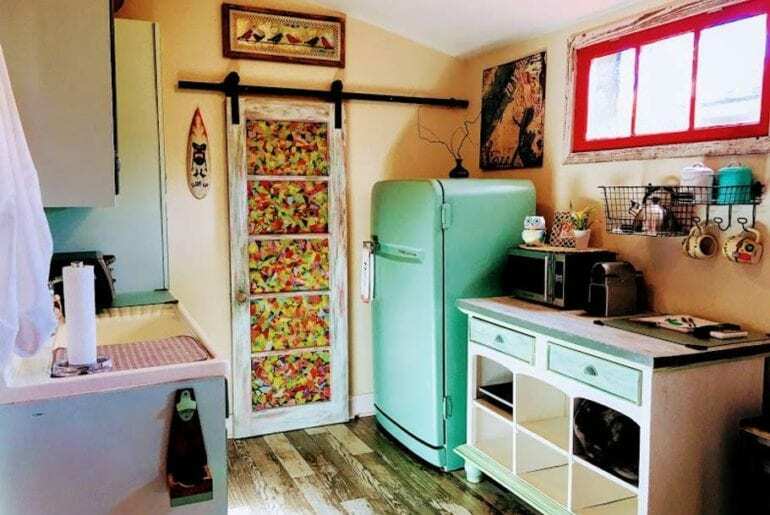 You’ll love this tiny house on wheels! Built in the summer of 2016, the owner has since revamped the home with Wifi, cable, a patio, and kitchen. 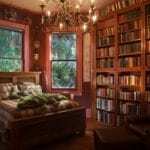 Not only is it adorable, but the location is also amazing as well. 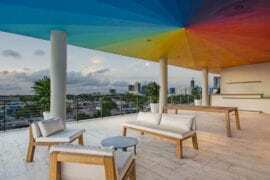 The laid-back neighborhood of The Upper Eastside is close to all of Miami’s main attractions. 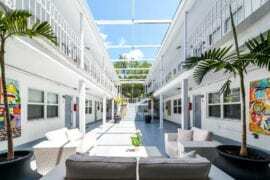 Only 15 minutes from Wynwood and the beaches! Starts at $60 per night. It’s looking pretty easy to do Miami on the cheap right now isn’t it? 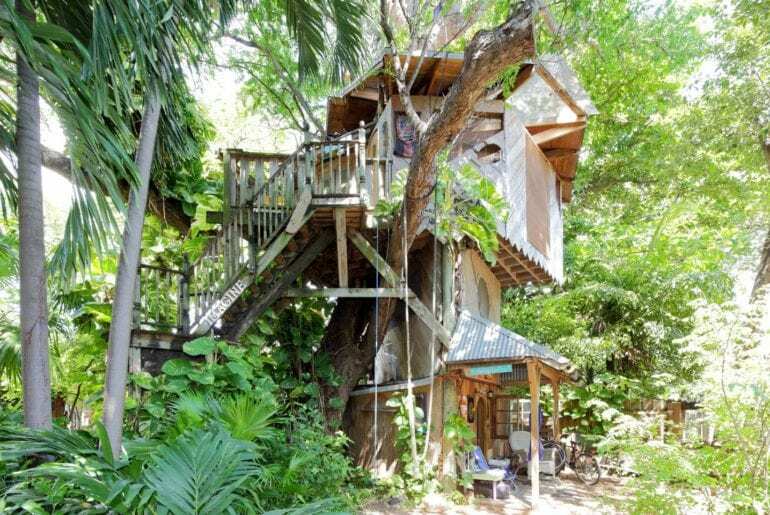 In the middle of Little Haiti, this treehouse is designed for two people with one bedroom, one bed, and a shared bath. Escape the busy environment of Miami and spend time becoming one with nature. Rentals start at just $90 per night. 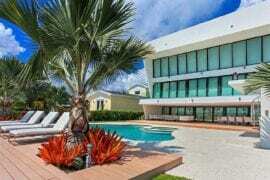 Despite its somewhat secluded feel, the house is only 15 minutes away from South Beach! If you want a unique stay – look no further. Located in Miami’s small yet booming Arts District, this Artist’s loft is quite a trip! 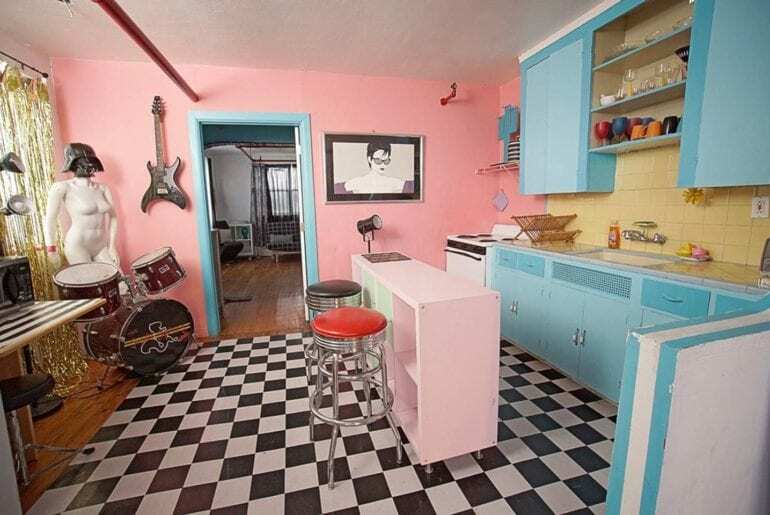 The decor is bizarre, eccentric, and wacky. Typically rented out to artists and photographers, this space offers a ton of room and convenient location. Walkable to Wynwood’s famous murals! Only $95 per night. 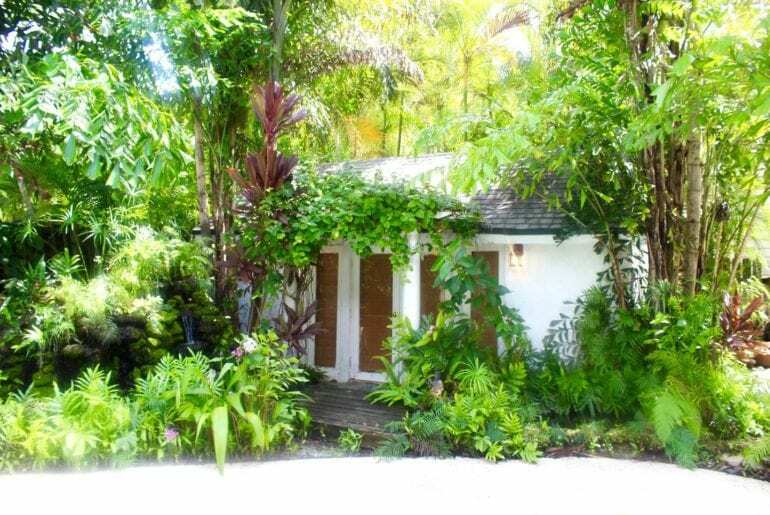 Surrounded by a lush tropical garden, this charming cottage is a perfect getaway! 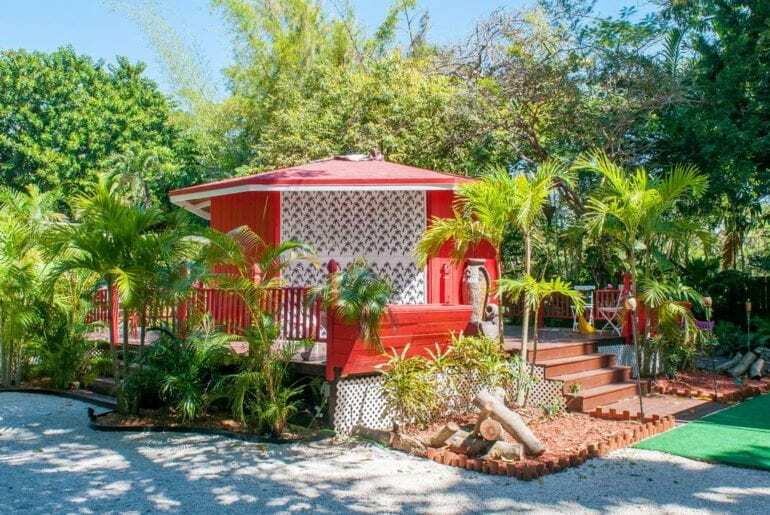 Starting at $100 per night, you can unwind in your own private pool and Instagram-worthy Tiki Hut. Parking is available in the yard and renting a car is suggested. Around the corner, you’ll find some of Miami’s best beaches and local spots. This cozy bungalow home is perfect for some R&R. It’s tucked away in a backyard lush with greenery and a wonderfully private “jungle” feel. There’s an outdoor space with a Koi pond, a pool, and a lounge/dining space. The vaulted ceiling and homey decor complement the natural light that beams in from the windows. Rentals start at $115 per night. Enjoy this high-rise condo with breathtaking views of the Miami skyline. Located in Downtown, you’ll be near some of the city’s best hotspots including Bayside, Wynwood, Design District, and Margaret Pace Park. In addition to the entire condo, you’ll have access to a pool, hot tub, gym, and rec area. 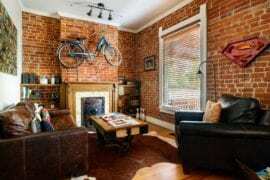 For a total of $117 per night, this two bedroom rental also includes a designated parking space!